I spent some time in beautiful Hamburg in my early 20’s. My neighbour opposite was also a keen cook and I remember chatting to him about his favourite local dishes (his was Steckrübeneintopf). When he asked me whether there were any particular South African specialities I loved, it took about 1 second for “Pumpkin Fritters” to leave my mouth, a little more loudly than I had intended. He was horrified. “Pumpkin? That is what the pigs eat here in Germany…” Say what?! Naturally I rose to the challenge and, once I had finally sourced a pumpkin, made him some Pampoenkoekies. I believe he was a converted man. 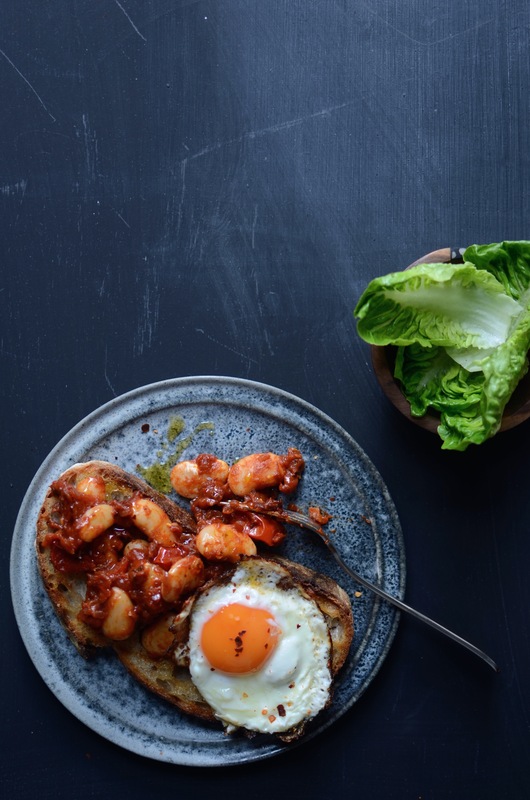 This dish is a lovely make-ahead option for the colder months. 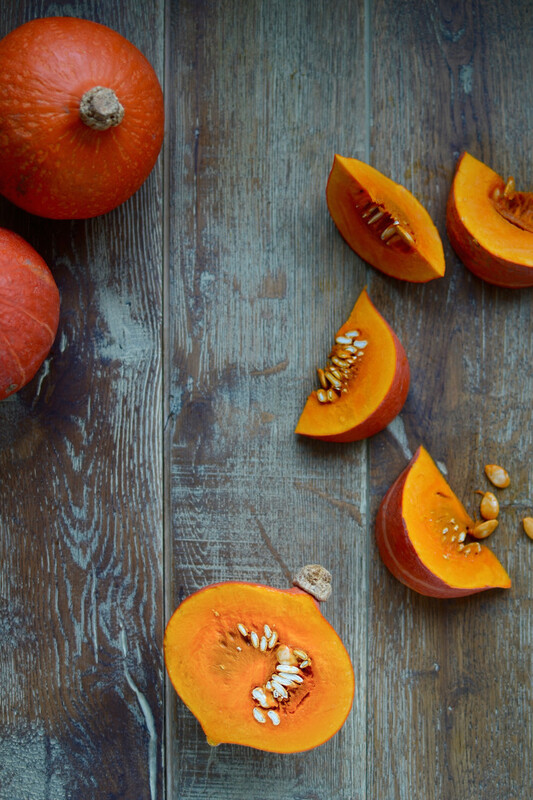 Use whatever squash or pumpkin you have, but it is particularly delicious with sugar pumpkin. The green sauce is very moreish and good with any type of grain or pulse-based salad. It will thicken in the fridge, but just give it a good whisk and it should be pourable. Put all the ingredients for the dressing in a blender and blend until smooth. Set aside. Separate the layers of the fennel bulb, then chop into small squares. Sauté in a little coconut oil until tender. 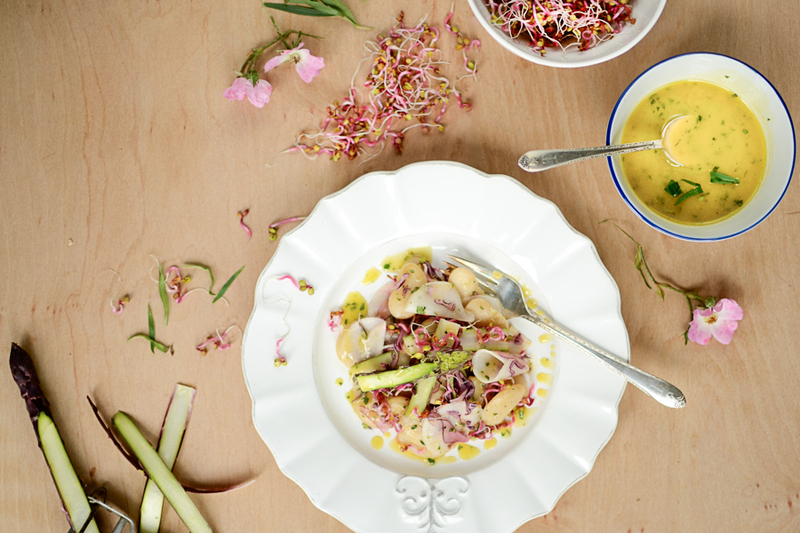 Combine the fennel with the rest of the ingredients, dress with the dressing and serve. I’m not sure that I agree with a strict interpretation of the whole “New Year Detox” thing. At least not if you live in the Northern hemisphere. Sure, cut down on portion sizes and avoid sweet things if you overdid it during the festive season. But why deny yourself warming, filling and indulgent food when it is bound to be cold, dark and wet most of the time? 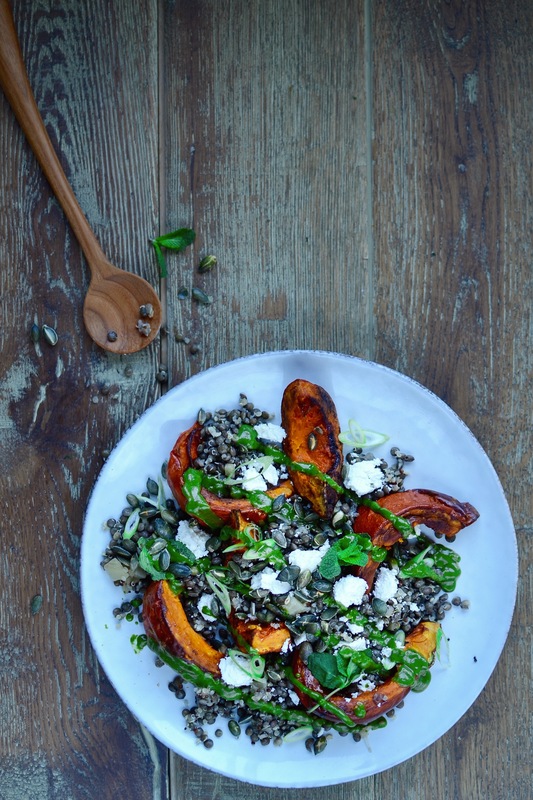 And on the days you do crave something a little fresher, a little bit brighter, a salad such as this one will hit the spot while keeping the winter chills at bay. 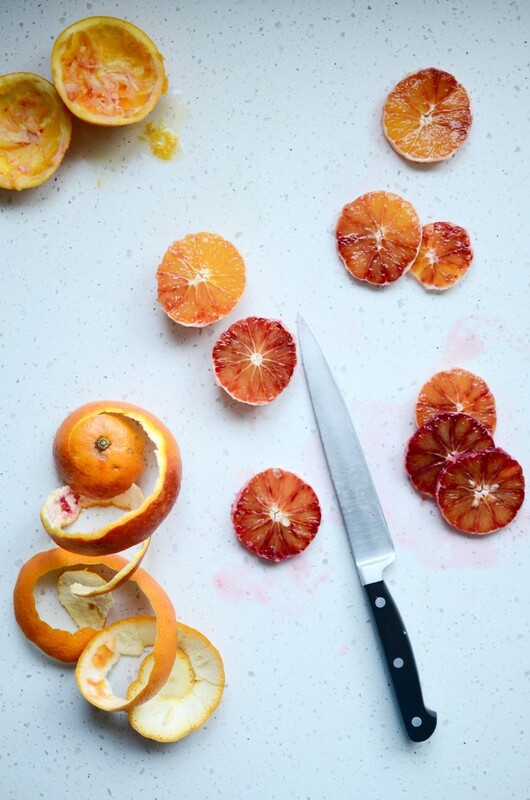 Blood oranges are such a treat in the colder months and add a sense of drama to any dish. Before juicing the halves for the dressing, I cut off one slice and add this, with the skin still on, to the blender. This, and the tahini, add a delicious bitterness to the salad, which I find particularly appealing, but feel free to omit it. If you struggle to find the shichimi togarashi spice blend for the dressing, you could make your own by combining 2 tablespoons of chilli flakes, 1 teaspoon coarsely ground sichuan (or black) peppercorns, a tablespoon each of white and black sesame seeds, and dried tangerine or orange peel, 2 teaspoons of ground ginger, and lastly 2 tablespoons of seaweed (nori, wakame flakes or arame). Also remember, when consuming raw spinach, to include foods in the meal that are high in vitamin C (such as blood oranges), as it helps with assimilation of the iron and blocks the oxalate from binding to calcium, encouraging further absorption. Blend together all the dressing ingredients. If you don’t own a high-speed blender, do not add a slice of orange with the peel on, as it will not be ground up smoothly enough. Instead, add some grated zest. Adjust seasoning, ensuring a lovely balance between salty, bitter, sweet and sour. 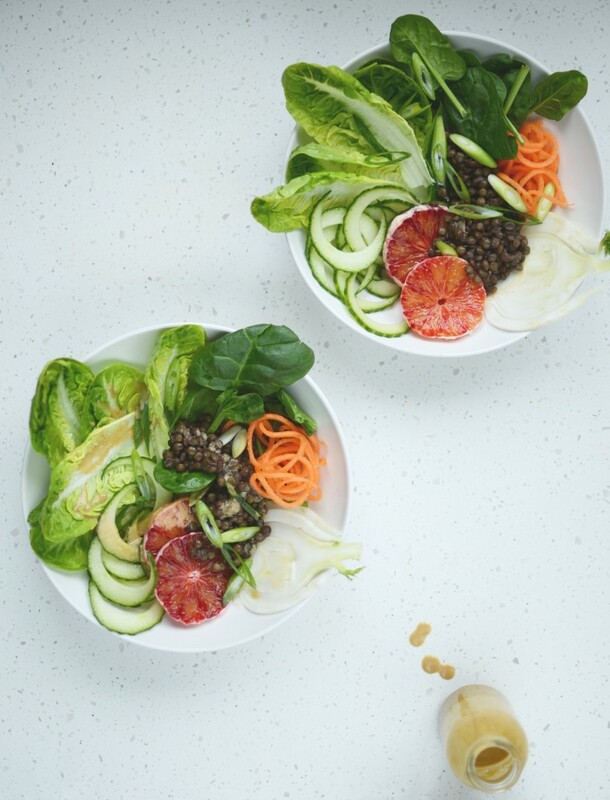 Just before serving, toss together the warm lentils, the rest of the salad ingredients and enough dressing to coat. It suddenly got really cold. I had the privilege of spending the weekend in the Cotswolds with some girlfriends, where the icy polar wind whipped around our ears and brought tears to my eyes. All we could think of was the warm barn and lovingly cupping some warm(ing) drinks. 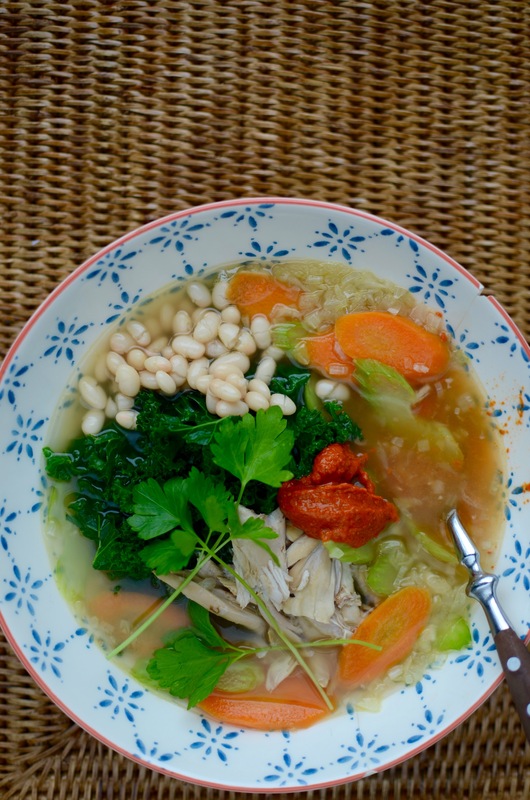 I returned to London rejuvenated, and in the mood for soup. 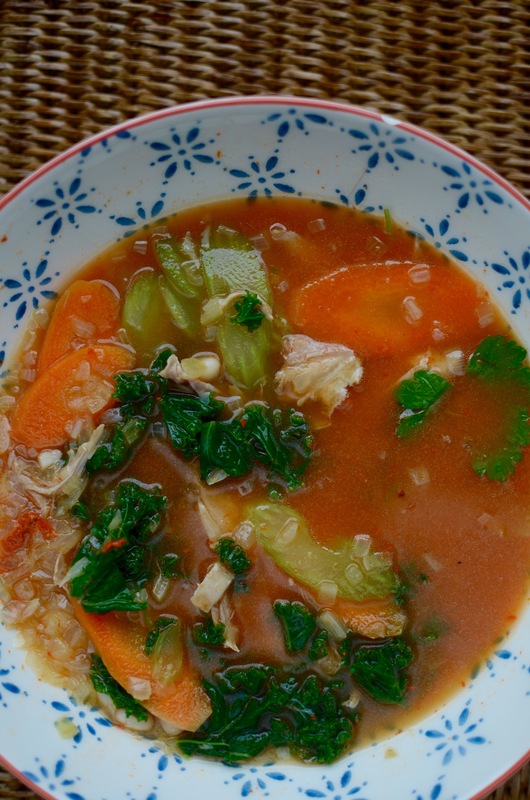 Not just any old soup, though – a slightly spicy chicken soup! For the peppers, roast cut sides up in a moderate oven (180°C/360°F) for about 1 hour, or until tender and caramelised around the edges. You could also use good quality ready-roasted red peppers from the deli counter. In the meantime, dry roast the seeds in a medium hot pan until fragrant. Tip into a mortar and once cooled, grind into a powder. Put all the ingredients for the spice paste into a blender and blend until smooth. Adjust seasoning and set aside. For the soup, heat the oil over a moderate heat and sweat the onions and garlic until soft. Add the bay leaf, carrots and celery, and gently cook for another few minutes until just tender. Add the blanched kale and the chicken stock and simmer for a few minutes. Adjust seasoning, and serve with shredded chicken, cooked beans and lots of spice paste. Both asparagus and tarragon herald the start of spring. Well, in my opinion anyway. But that is not the only thing I like about this (mostly raw) salad. It really gets your digestion going. The spiciness and zest, the crunch and bitterness. 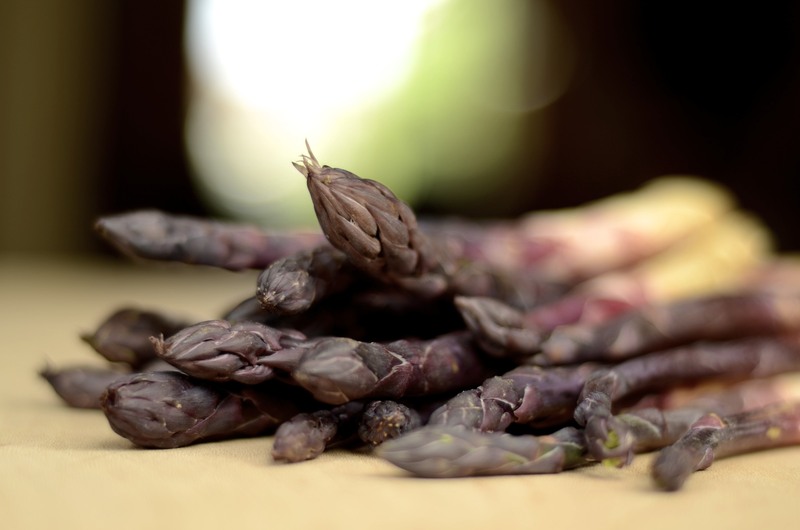 Purple asparagus also has diuretic and laxative properties that help flush out toxins from the body and alleviate bloating and cramps. Most people know that it is a good idea to enjoy raw foods regularly, as they are rich in live enzymes that help your body digest food and assimilate nutrients. But here is one shortcut worth knowing about: sprouts can have up to 100 times more live enzymes than raw fruit and vegetables. Now that’s something to sprout about! 1. Put all the ingredients for the dressing into a jar, close the lid and shake vigorously. Taste and adjust seasoning if necessary. 2. Combine the rest of the ingredients in a bowl and toss with some dressing. Note: The radish sprouts are quite spicy, so don’t add too many and perhaps go light on pepper, if you add it. I also prefer an olive oil that is not too peppery or bitter, as there is a lot going on. Also, cooking the beans with some onion, garlic and kelp ensure they taste great. One of the tricks I often rely on to encourage the whole family to eat more vegetables is to offer crudités before the main meal – when everyone is starting to feel really hungry. Another is to incorporate vegetables into as many dishes as often as possible. Here is a recipe that will give you the opportunity to be most cunning and do both! Bring the beans, 1 garlic clove, onion, bay leaf and kombu to boil in a pot with enough salted water to generously cover the beans. Simmer until beans are tender, skimming off any froth that forms on the surface. While the beans are cooking, toss the beets in the liquid coconut oil, add the thyme leaves and season with salt and pepper. 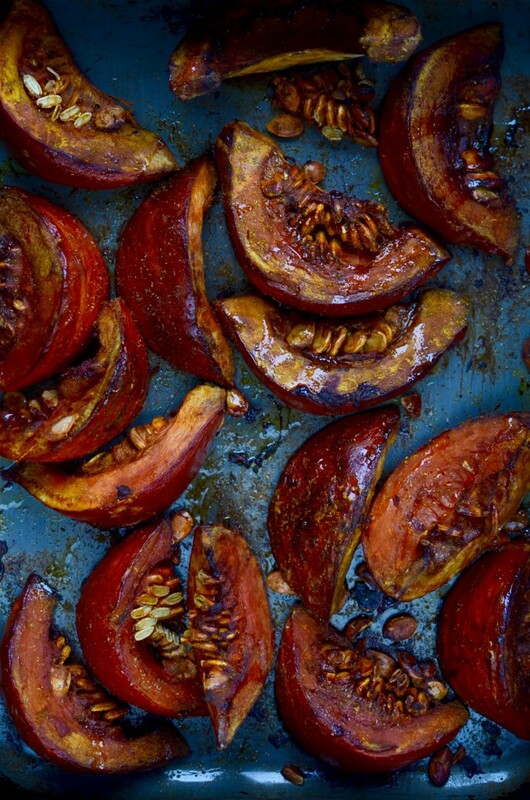 Roast in a moderately hot oven (160°C / 320°F) for about 40 to 50 minutes, or until the beets are tender. 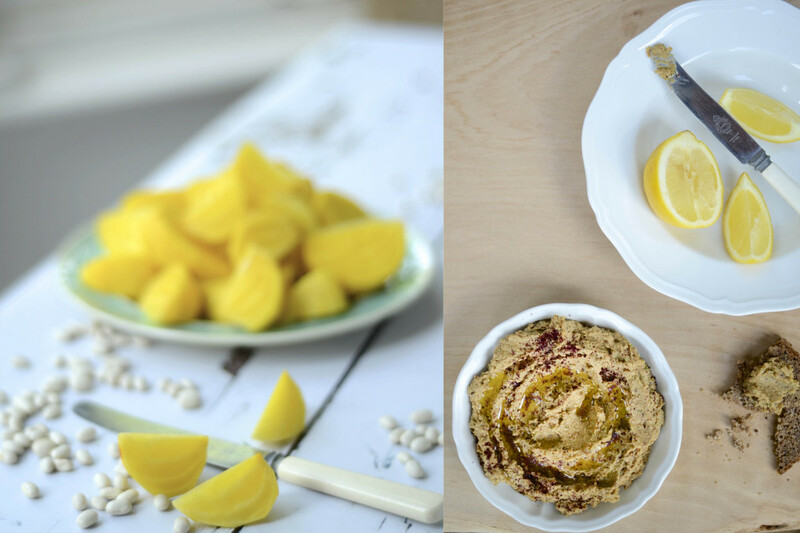 When the beans and beets are both tender, add them to the bowl of a food processor, together with the tahini, olive oil, lemon juice, the other clove of garlic and salt and pepper. Use the bean cooking liquid if you need to thin the dip a little. Sprinkle over some sumac just before serving.